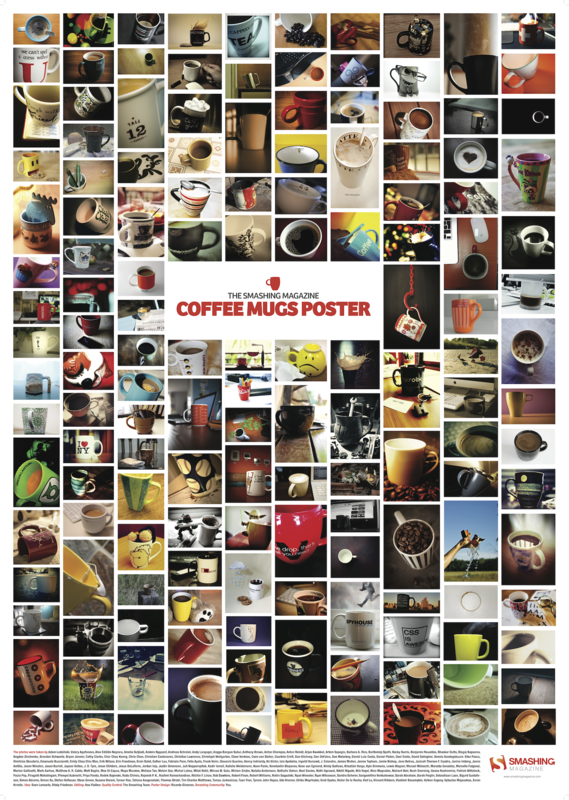 Recently Smashing Magazine had a photo contest where they invited readers to submit an image of their favourite coffee mug for a poster of coffee mugs. I'm a big fan of my morning coffee (don't talk to me until it's had a chance to absorb) and have a few favourite mugs (and varieties of coffee in the pantry) but the mug in the photograph I submitted was a gift from my husband. He gave it to me a while back when I was teaching myself CSS. Anyway, my image made it to the poster! You can download a high resolution version of it here. I've also just updated my blog to a new domain name! You can now find this blog at www.sarahlikegreen.com because it really is my favourite colour! Obviously, your husband has good taste!